I keep seeing this (IMHO) bunch of con artists being advertised in spaces below. Anyone else have an issue with them? OK, those replies went straight over my head. I really really don't like this company and am concerned that I, by contributing here, at least at my normal rate, could be helping them. Is it an issue? Are you seeing it in the advertising on FF? In the banner adds below posts? that is when I mainly see ads for Mainline or Amazon. I don't recall seeing Wonga.com. I think John would be in control of the advertising and able to take or refuse whatever companies he wanted to? Perhaps you could PM him? The adverts that appear at the bottom of each page are Google Ads. As far as I can tell, if Google recognises members, by cookies say, or by the IP address they are using, it places ads that are targeted at the individual based on their recent Google searches. For example, about a month ago I Googled extensively for hotels in Kingston, Jamaica, and for about 2 or 3 weeks after, every time I went to the forum the Google Ad at the bottom was all about accommodation in Kingston. I found it a bit unsettling. The point is, Roboframer, we don't all get the same Ad. Perhaps someone with more knowledge will have a better explanation, but it seems to me that Google tries first to place an ad that is relevant to the user's recent searches, if not enough is known about the user, it tries to place an ad that relates in some way to the content of the page that is being displayed. 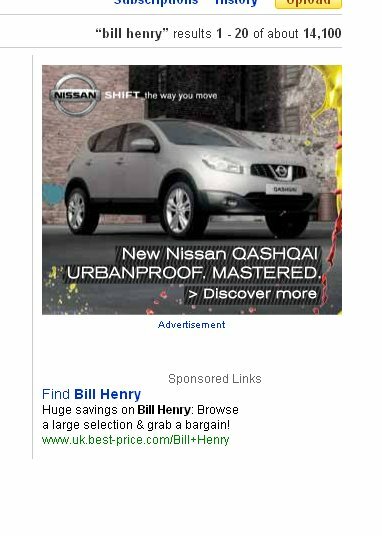 Then it will place ads whose keywords relate in some way to those of the forum. And if all else fails, a generic ad is chosen at random. Like them or loathe them, companies, such as Wonga, that offer payday loans are legitimate businesses in the eyes of the law, so presumably Google has no grounds on which to reject their ads. I've no idea why those ads are being thrown your way, perhaps you once looked up the meaning of the word Wonga, or it could be for some reason totally unrelated. I'd love to know how it decided that I might be interested in plaster coving cornices. And why Am I getting adds for roofing, now this I find odd, I do need a new roof and have been thinking of getting some quotes, but as yet I have not done any searches or rang for any, may be Google maps saw my bad roof. Get some strange ads. On here and elsewhere. A lot are for picture framing, which is like trying to sell sand to the Arabs, but who said 'puters are intelligent. Also used to get a lot for Chinese brides and I don't remember searching for any. The other week I bought a venetian blind and two lamps from Dunhelm Mills. Next day - DM ads all over. Funny thing though, I bought them from the store in person and paid cash. Spooky. As for the wongaa-type setups, they are just preying on the hard-up. Some fatcats with a bit of cash deciding that they can make more money this way. Sign of the times. Loads of sites, including this one will place tracking cookies on your PC. Google Adsense tracks from here. Mostly, as suggested they will follow what you browse and then place selected adverts on web sites based on your browsing habits. Where have you been browsing Robo? Sometimes they will also grab other information you key in such as DOB, gender and others. If you wish to stop this unauthorised tracking you can download DoNotTrackMe from herehttp://download.cnet.com/DoNotTrackMe-for-Firefox/3000-2144_4-75653399.html or here http://www.abine.com Its free. It will also stop the likes of Facebook and Twitter following what you do too. If you don't mind the selected adverts then all is ok however if you don't want Big Brother watching you then I would suggest the download. I get some strange satisfaction each time I see the number of companies blocked on each site. Who knows what they will do with the other data in time. PS Actually its probably academic anyway as if the government get their way, all sorts of public central and local government departments will be able to see what we have been up to without our knowledge or permission. George Orwell is closer than we think! OK I'm with it now - we don't all see the same thing - good! I seem now to remember this being explained previously but it obviously didn't sink in 1st time, sorry! I've googled wonga quite a few times, just to read what people have to say about them, so that's that explained! Be careful what you browse for. You might get it. As said already google tries to place ads that are relevant to people, based on a whole load of different formula but most obviously previous webpages visited or searches made. This can be a good thing as you might see something you are looking for, or can be annoying as you don't want anyone else to see what you have searched for - as Robo says he has just searched Wonga to see if they really can be charging 1million%APR and for the next few weeks gets a load of adverts imploring him to take out an emergency loan. At the minute I'm getting adverts for B&Q lights because I have been looking for ceiling lights, but google doesn't know that I've already bought one so it is now irrelevant. There are ways of getting round this. You can sign up for a google account - you will have one already if you use gmail - and tell it you don't want the ads to be picked specially for you based on searches etc. You will then just get random ads based on location. You can also tell your browsers to tell sites you don't want to be tracked (you will find this in the privacy section). Personally I don't mind them so I just leave them to advertise what they want, and if it suits I'll click them, if not I'll ignore them. If I want to do something privately like choose a diamond ring for my wife and not have it advertising the fact to her, then I can have a private browsing session which will last until I close the browser. It's a tricky old business and there are a lot of variables and google spend millions each year in streamlining their system. The good thing is that they are free to end users and get their money from companies that advertise with them. The only way around it is to turn off your wifi but then you wouldn't be able to join in the chat here. I do not see any adds at all. I have a Do Not Track Me App running. You don't get an advert just under the first post, and at the very bottom of each page? I don't think the app would affect whether you see ads at all, although it would affect what ads are shown. I get the advert under the first post on each section. My understanding is that this position is under the control of the Forum Administrator as they are 'paid for' ads. With that 'Do not track me' App. I no longer get the ads at the bottom of the page. See the post by AllFramed above, for the link. I searched a while ago for a large format scanner as I've been getting a few enquiries. Having looked at some, a few days later I decided to take another look at some other models but couldn't for the life of me remember the site I looked at. Low and behold at the bottom of the page of FF there is the site I was racking my brains trying to remember. So not all that bad to see a few ads now and again. And was surprised to see 3 of the quotes appear across the bottom a few days later. There is a active discussion over on the Grumble about the huge amount of info that the phone companies keep about our calls. One post says that NSA has details of all the data transmissions made by all USA citizens over last few years. Guess if you are clean - nothing to worry about. I have visited framers in 83 countries - no two are the same. "Cut mounts are like haircuts, they are both bad when overcut." Interests: Badminton, golf, gym, and exploring new places.